The bats were held hitless yet again the first time through the lineup. But they woke up front heir slumber in the 4th to put three runs on the board. 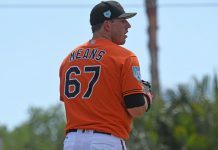 Kevin Gausman delivered a quality start, the bats added on a couple insurance runs, and the bullpen held on for the win. 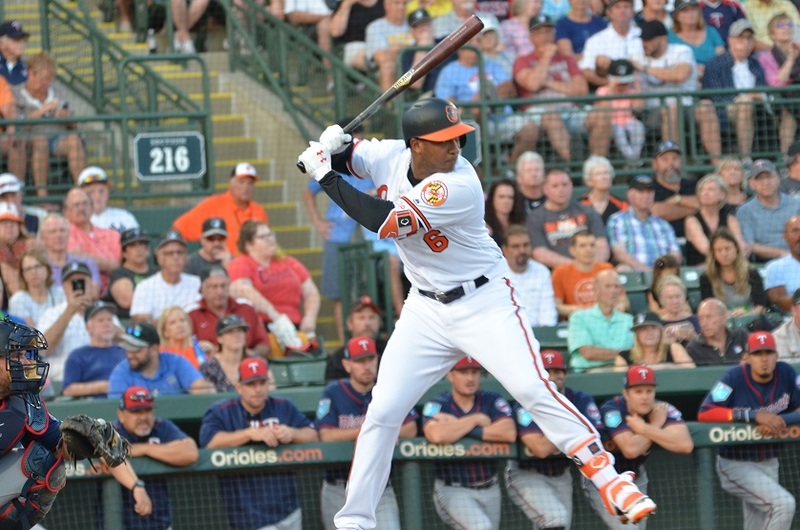 Tonight, we’ll go with Jonathan Schoop who had a two-hit, two RBI day at the plate. Kevin Gausman allowed a run in a 25 pitch inning in the 1st. He would settle in after that and complete six for the birds. He allowed another run in the 5th and a solo home run in the 6th. Ultimately, he qualified for the quality start and picked up the win. Final Line: 6 IP, 6 H, 3 ER, 3 BB, 7 K, Win. It’s a miracle! Chris Davis collected multiple hits tonight, including an RBI single in the Orioles three-run 4th inning. Chance Sisco singled twice and walked. His RBI single in the 8th gave the bullpen a nice two-run cushion to work with. Manny Machado had a 2-for-5 night. Richard Bleier worked a perfect 7th with a strikeout. Darren O’Day worked a perfect 8th with a strikeout. Brad Brach slammed the door shut in the 9th. Manny Machado showed outstanding range and arm strength on a tough groundball he had to make a backhanded play on in the 7th.